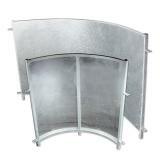 Curved panels provide the "bugle"(one that curves as it narrows) entry. 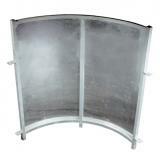 Consists of a set of 2 curved panels (one 3 ft long; one 6 ft long). 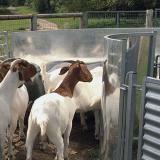 The most effective design for "enticing" animals to enter narrow chutes on their own from wider pens. 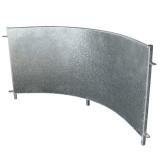 Attach to a stop or guillotine gate at the entry end of the chute. 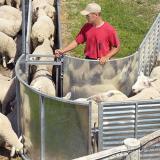 Narrow chute tends to self-fill. 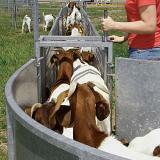 Less stress for animals and humans. 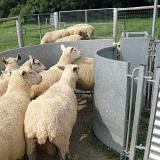 Resists rust for decades if kept out of wet manure. Galvanizing creates a professional, polished look the endures years of use. Keep out of wet manure—may cause rust to develop.